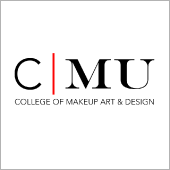 CMU College of Makeup Art & Design is the world’s foremost training institution for aspiring makeup artists. Attracting students from across the country and around the world, CMU is the only makeup school that offers courses in all seven disciplines of makeup artistry. Specialized areas of study include character and special effects makeup, creature design and prosthetics, theatrical makeup design, and fashion photographic makeup. CMU is committed to providing unparalleled training for the next generation of makeup artists worldwide.